In my work at Fred Hutch I collect and manage data on cancer patients. Every day when I come to work, I have to temporarily suspend my empathy for the patients we study and disconnect my emotions or I’d lose my objectivity and quite possibly my mind and never get any work done. The people and their experiences we study become data points living in a database within a virtual world stored inside the computer network. They become statistics that we manipulate and report on to further science. This is a necessary requirement of doing research and getting the work done. Thus, most of the time when I work at Fred Hutch, I live in the abstract world. Every so often, though, the reality of cancer thrusts me back into the real world like a cold slap across the face. Yesterday, for example, I learned that a friend in her forties who had been battling cancer for a number of years finally succumbed to the disease and died. Aletia wasn’t a close friend but she was someone I knew through our church and the school that my children attended. A real person cut down in her prime by cancer, leaving behind two lovely girls and a loving husband. Aletia’s death is also a reminder why working in cancer research is so important. Real people get cancer, real people suffer from it, and real people die. Lots and lots of people. From babies to 100-year olds and everyone in between. This is the reality of cancer and the reality of life. RIP, Aletia. 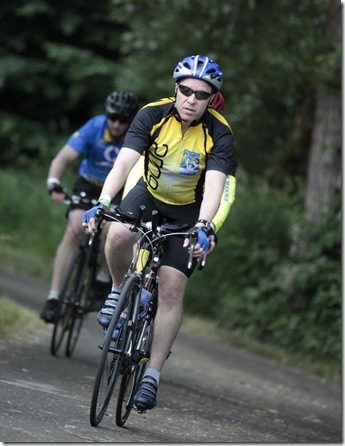 I’m riding Obliteride on August 9th to raise money for cancer research at Fred Hutch. Please consider donating to the cause. I consider myself very lucky to have the privilege to work at Fred Hutchinson Cancer Research Center, which we affectionately call Fred Hutch. I manage a small team of programmers in creating custom solutions to support the world-renowned research that is happening here. In this post, I thought I’d give you an idea of what research projects I am personally involved with day to day, either in a programming/configuration/orchestration/maintenance role or in a management role. Oh, and it’s worth mentioning that not all of the work we do at Fred Hutch is cancer related. Fred Hutch scientists also do research in infectious diseases, diseases of the immune system, and a few other disorders. Still, the bulk of the science being done here is cancer related. 1. My group at Fred Hutch serves as the clinical coordination and data management center for a multi-site study of an immune system disorder called Sjogren’s Syndrome. 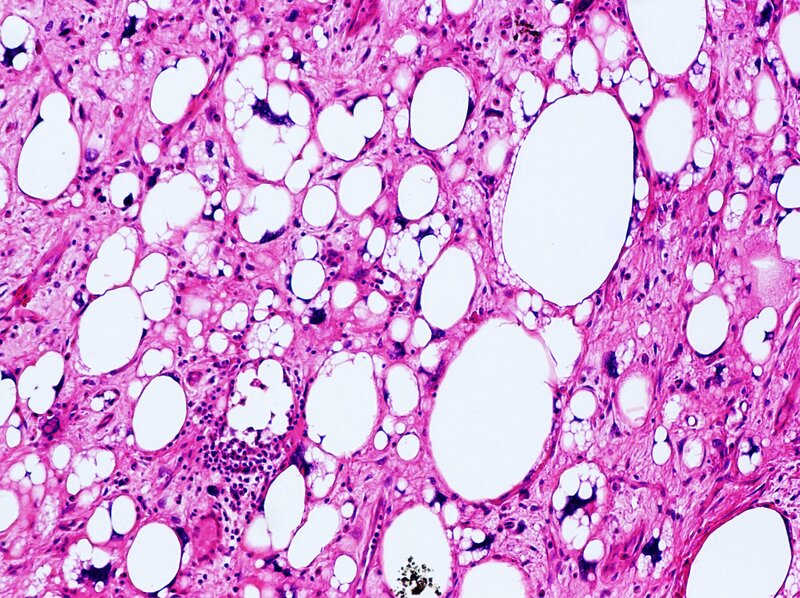 The goal of this study is to develop a panel of biomarkers to diagnose this disorder. We are responsible for the collection, quality control, and storage of clinical and laboratory data for this clinical trial. For this project, we use a electronic data capture system called REDCap, a laboratory system named LabKey, SAS, a few custom-built .NET programs to tie it all together, and SQL Server. 2. I lead the programming team supporting a pair of trials looking at the accuracy of pathologists when diagnosing breast cancer and melanoma. Initial results of the breast cancer study made news when a controversial paper describing the results was recently published in JAMA. The system is built using ASP.NET MVC with an electronic slide viewer built using Silverlight. 3. I created and maintain a specimen repository that I first wrote using ASP.NET about 10 years ago. This system is used to track specimens– little vials of blood and tissue that are collected from study subjects and stored in super-cold freezers–for five different repositories, including repositories for leukemia and a rare disease known as Shwackman-Diamond syndrome. 4. My team maintains another ASP.NET-based system that tracks the logistics of running hundreds of clinical trials in AIDS treatment and prevention. This system also communicates to our funding agency at the National Institutes of Health on a daily basis using a web service client. 5. My team recently launched a new study that is looking at the effects of eating frequency on health. We helped build the data collection system (using REDCap) and a .NET console program that texts participants reminders to complete their daily food intake diaries. 6. We are working to build a website for a new study with pilot funding to improve the reliability of self testing for Cytomegalovirus (CMV) infections in bone marrow transplant recipients. CMV is particularly dangerous in these patients. 7. 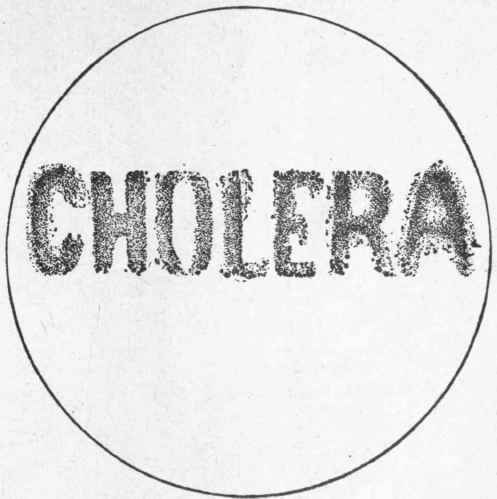 I am helping to manage the data collection of a study that is attempting to extract information about cholera outbreaks in Africa using as the source data reports extracted from a public reporting system called ProMED. The goal of the study is to build models to better understand how this devastating disease spreads. 8. We manage the data collection for innovative research study to use acceptance and commitment therapy (ACT) to coach smokers over the telephone to quit smoking. Prior studies have shown ACT to be a promising technique to help smokers and others with addictions to stop these destructive behaviors. 9. I recently completed an online implementation of a scoring algorithm for use by oncologists who are trying to predict patient survival from hematopoietic stem cell transplants for leukemia and myeloma. The system was built using ASP.NET MVC and jQuery. 10. I lead a team that maintains a 8-year old custom-developed CATI (computer assisted telephone interviewing) program for our telephone interviewer team. That covers most of the systems that occupy my time of late.The technology is not always bleeding edge but, in general, we try to stay current and forward thinking. It’s a challenging job at times, especially when trying to juggle dozens of clients who are almost always on a short schedule with a even shorter budget. But boy, is it rewarding. I truly love my job and I hope you enjoyed reading a bit about it. And finally (you knew there was a tie in), my wife Suzanna and I are riding our bikes 50 miles on August 9th to raise money for the wonderful and truly life-saving research being done at Fred Hutch. Won’t you please consider supporting the amazing work we are doing here by donating to my ride? Thank you. Why Obliteride and Fred Hutch? It’s been over nine years since I started working at Fred Hutchinson Cancer Research Center in Seattle, or as we like to call it “Fred Hutch” or just “The Hutch”. Fred Hutchinson Cancer Research Center was established in 1975 by Dr. William Hutchinson in honor of his brother, Fred, who died of lung cancer in 1964. So What’s So Great About Fred Hutch? So what’s so great about The Hutch? Fred Hutch is truly a world-class research center dedicated to curing and reducing human suffering from cancer, AIDS, and other diseases. Donnal Thomas, who won his Nobel prize in 1990 for his ground-breaking work in bone marrow transplant. Donnall died in 2012. Lee Hartwell, who was awarded the Nobel prize in 2001 for his work in understanding cell division. Lee was the center’s president for many years and many days could be seen riding his bike to work. Linda Buck, who received her prize in 2004 for her pioneering work in the human olfactory system. I remember drinking champagne in her honor the day she was awarded the prize. Of course, that’s just three of the fine scientists of our institute. Much amazing work happens here every day, including work in basic science, clinical trials, bioinformatics, and cancer prevention. In future posts, I’ll share some of the projects I have had the honor to work on while here. 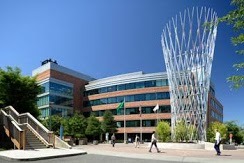 In the mean time, you can read more about Fred Hutchinson Cancer Research Center at fhcrc.org or wikipedia. Okay, let me be frank, the bike ride is just a front to raise money for this amazing institution. (Mind you, that’s not meant to disparage the amazing feats of athleticism that are part of an endurance event like Obliteride. Most participants will train for months to get ready and will endure somewhere between moderate discomfort and extreme pain in riding the event.) I mean that’s true for any event that raises money for a cause. For the most part, however, the event itself is not the important thing: it’s what happens with the money. And, unfortunately, many events have a fairly high overhead, which means that for every dollar you donate, only a portion goes to the organization benefiting from the event. For example, I rode in the Ride to Conquer Cancer four years ago and was saddened to learn afterward that less than 50% of the money I raised made it to the organization. To me, that was a huge disappointment and a reason I have not ridden again for that event. What is awesome about this event, however, is that a number of sponsors (as well as the participant registration fees) completely cover the expenses of the event. This means that 100% of every donation goes to the benefiting organization: Fred Hutchinson Cancer Research Center. Let me repeat that: 100% of every dollar you donate goes to the ground-breaking and life-saving research of Fred Hutchinson Cancer Research Center. Now, that’s something to get excited about. it’s simple, just click this button to donate to Obliteride and Fred Hutchinson Cancer Research Center.